Are you looking for a great ensemble musical to produce for your students or professionals? Link Theatrical is a company in the tradition of Tams Witmark or Music Theater International, but with a slight twist! Are you looking for something a little different, perhaps something a bit more creative than the usual Broadway fare? Well, you’ve come to the right spot! Check out our shows below. They are available to you to produce at your school, university, community theater or professional theater. 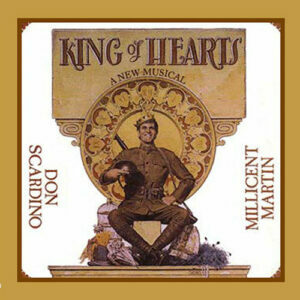 Trip the light fantastic with the Broadway musical, King of Hearts! 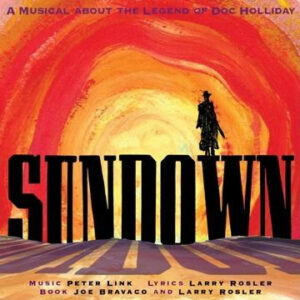 Bring history to life with Sundown, the Musical -- the story of the historic showdown at the OK Corral. Leasing Information can be found on each page. Click each image below to find out more about each musical and past productions. Feel the Passion with Doc Holiday!